We live in a broken world, but we do not serve a broken God; we serve a God of bigger. 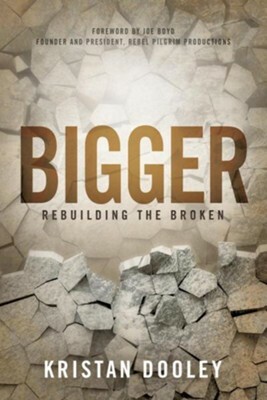 Bigger will motivate you to trust Him with what s broken in your life by surrendering to the larger process of rebuilding. It is unique because it presents you with the opportunity to journey alongside the author and Nehemiah. Somehow the idea of having someone to walk with lightens the load." I'm the author/artist and I want to review Bigger: Rebuilding the Broken.